Maroon 5 singer, Adam Levine finally addresses the controversy regarding their performance on Super Bowl Halftime Show. 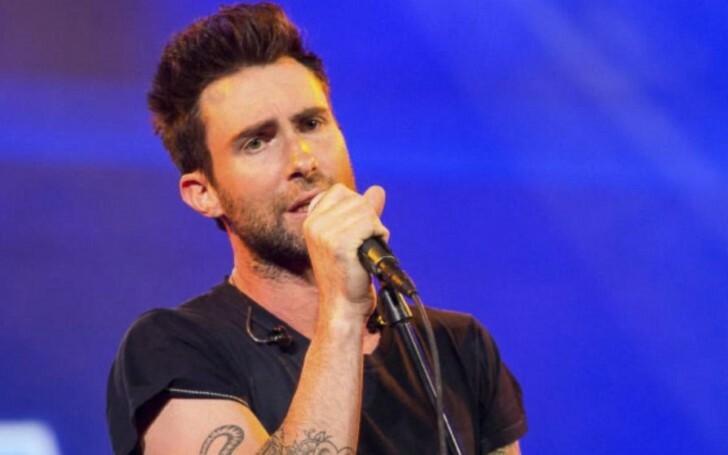 Shortly, after Maroon 5's performance in the 2019 Super Bowl Halftime Show, the lead singer Adam Levine opened up about his thoughts while choosing to perform at the event. The singer took to Instagram to address the controversy surrounding the Halftime Show on Sunday night, February 3 alongside photo highlighting "one love" light display with a message addressed to the fans and critics. "When we accepted the responsibility to perform at the SBHTS, I took out my pen and just wrote. Some of the words that came to me in that moment eventually made their way onto the incredible lanterns that flew high and low tonight. We thank the universe for this historic opportunity to play on the world’s biggest stage. We thank our fans for making our dreams possible. And we thank our critics for always pushing us to do better. One Love." The note concluded with the list of words; Forgive, Laugh, Cry, Smile, Share, Live, Endure, Embrace, Remember, Enlighten, Preserve, Inspire, Sweat, Fight, Express, Give, Receive, Elevate, Climb, Unify, Fortify, Soften, Dance, Scream, Dream, Educate, Provide, Inhale, Exhale, Persevere, Stand, Kneel, Overcome, Love, Listen, all of which the artist came up with. Following the decision to perform in the Halftime show, they faced wide criticisms mainly due to the ongoing protest regarding the NFL's treatment of one of its player Colin Kaepernick. Addressing the controversy in an interview with ET, the 39-year-old opened up about the apparent criticism which according to the singer was obviously expected. "I'm not in the right profession if I can't handle a little bit of controversy. It's what it is. We expected it. We would like to move on from it. And like I said earlier, speak through the music." Levine also spoke about the band's decision to perform which most importantly was his urge to "listen to himself" and "make the decision about how he felt." Alongside Maroon 5, Big Boi of Outkast and rapper Travis Scott also performed on the Halftime show while Gladys Knight sang the national anthem. Cardi B who declined Super Bowl Halftime also briefly appeared on a Pepsi Super Bowl commercial.